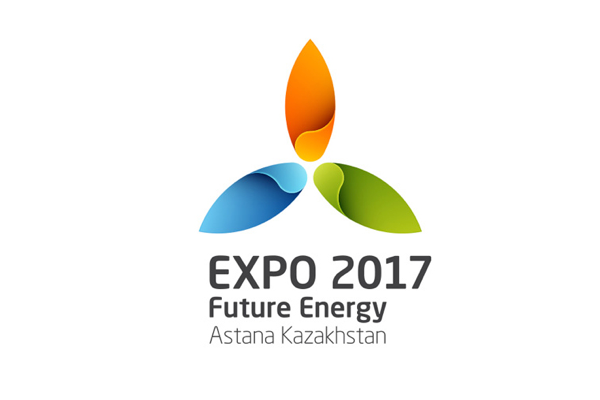 This article is part of our special report Expo 2017 Astana. 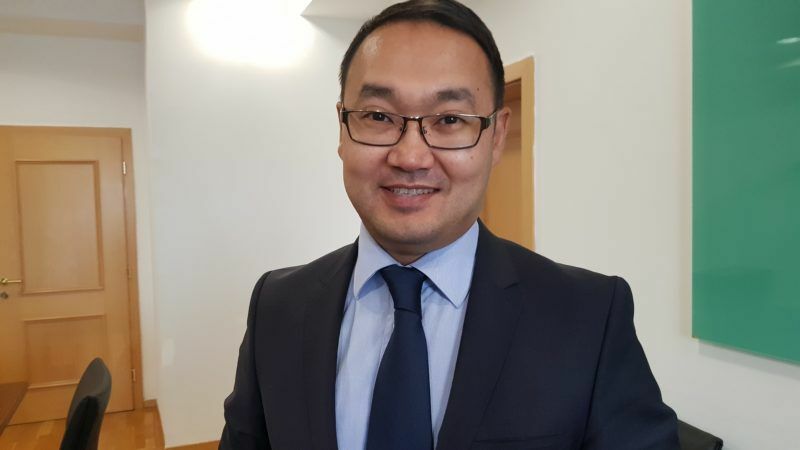 Yerzhan Ashikbayev, Kazakhstan’s deputy foreign minister, spoke to EURACTIV.com about nuclear disarmament, relations with the big powers and his country’s example when it comes to multiculturalism. Yerzhan Ashikbayev was appointed Deputy Minister of Foreign Affairs of Kazakhstan in 2013. He previously served as deputy head of the prime minister’s office, head of foreign policy at the office of the president, and head of the foreign minister’s Chancellery. In his role as deputy foreign minister, Ashikbayev is responsible for relations with the UN and the Americas. In a wide-ranging interview with EURACTIV.com’s Senior Editor Georgi Gotev, Ashikbayev said:. Russia, China and the US are Kazakhstan’s foreign policy pillars. The EU is in crisis, or at least it doesn’t look very attractive these days. Your country has a “multi-vector” foreign policy, meaning that it maintains good relations with all major players. But aren’t you more attracted to the East, simply because the EU is not in a very good shape? Very tough question, that’s why I will not answer it as a diplomat, but as a citizen of Kazakhstan. Of course, China is a huge window of opportunity for us, and we benefit immensely, as does the international community, from this Chinese growth of the past three decades. During this time, China became a global superpower and Kazakhstan, as a neighbour of this dynamically developing nation, is benefiting from that. I don’t need even mentioning the Belt and Road initiative, it’s simply because we have such a good and constructive neighbour that we managed to establish an excellent relationship with our Chinese counterparts on so many bilateral issues. But having said all that I should challenge your statement that Europe has become less attractive for Kazakhstan. If you analyse our strategic development documents, they incorporate European values, they incorporate the European standards of living, the quality of life, and overall the civilizational development of Kazakhstan is in the direction of these European standards. With North, Central and South America. Not only the judicial system. It’s about the entire society in which every citizen would enjoy comfortable, safe, prosperous life, and this is what lies as the essence of our domestic policy, the foreign policy being the continuation of it. It’s a two-way dialogue. The problem arises when it’s a one-way dialogue. But we have so much to share with the European nations. Now in Europe, many speak of the crisis of multiculturalism. Indeed, and they were not moved to prepared settlements, but to the steppe where the trains stopped. And they had to survive in very harsh conditions, but they couldn’t have made it without the help of the Kazakh people. This is to say that we don’t see any other scenario, in such a diverse society, than to harmonise the co-existence of those groups. Nowadays we more often talk of partnership and cooperation, than of requirements as in the past. I think the international community is learning from its failures. Seven-eight years ago, there was a huge hype about the Arab Spring. Well, changes don’t come overnight. They require a very intelligent, meticulous approach and political will to change. This is modus vivendi for Kazakhstan. Also, being landlocked means that you are dependent on your neighbours. We have good relations with any country of the world, and especially with our neighbours, because security, stability, prosperity cannot and should not come at the expense of others. Speaking about stability and security, there are two problems in Europe. One is the migration crisis, and speaking about the Arab Spring, I hear from EU diplomats that they now miss Gaddafi. And the other one is terrorism, and it looks like we in Europe have to get used to it. How does this situation look, seen from here? The view from Central Asia and from Kazakhstan is that whatever has been done has been a terrible mistake. That’s why my president underlined the necessity to preserve the statehood under any condition, when dealing with Iraq, or Libya, or any other failed nation. We saw many failures because of poor judgement what would follow next. And “next” was more tragic than the previous situation. Isn’t it worrying that our political correctness in the West means that there is little analysis of the mistakes done? The judgement should be yours. I should say Kazakhstan was eager to replicate some of the main substances of the Eastern Partnership within its bilateral cooperation with the EU, because part of its stimulus package is access to the EU single market, visa-free travel, this is what our society desires. But at the same time, we realise that our Russian friends and partners see NATO enlargement in very strict security terms. So it’s extremely wise to stay away from NATO? Including. We are very pragmatic and we don’t see a problem when we tackle certain issues, if this is in the best interest of this nation and does correspond to the overall understanding of how to respond to certain problems, we are fine to go along. I’m a diplomat, it’s up to experts to draw conclusions. What is happening now [the Eastern Ukraine conflict] is yet another very tragic dividing line in the Euro-Asian space. Astana hosted the first and so far only OSCE summit in the 21st century in 2010, the main goal of which was indivisible security for everyone in this huge area from Vancouver to Vladivostok. Unfortunately, it was only a few years after this very successful summit that new dividing lines appeared. I will ask an undiplomatic question, does your country see a change since Donald Trump become a president? So far, no. We are continuing our cooperation with the US, and we see a continuity. There are certain issues that may be redesigned or re-thought by the Trump administration, but so far we don’t see them as changing the nature of our strategic partnership. Our foreign policy pillars are three: Russia and China, as our biggest neighbours and great nations, and the United States. This is what we call a stable construction. Because with two legs it won’t be stable. We need a third leg. The EU is not a leg? When this concept was proposed at the very early stage of our independence , the European Union was in the making. Now we increasingly see the EU as another pillar. Of course, there are certain reasons for that. The foreign trade of my country with the EU accounts for a half of our foreign trade, and so do foreign investments. There are other pillars, as our cooperation with the Islamic world. And in the future, India will be much more active in this part of the world. The more diversified cooperation we have, the better for everyone. It’s not only about security, it’s mainly about economics. And we are open to diversified cooperation with any country. You mentioned pillars. I have seen Trump towers in the region. But not here, although Astana seems to be the right place for extraordinary buildings. [Laughs] Well, he might decide to invest in Kazakhstan, given the rapid development of the city. We truly believe that Kazakhstan presents huge opportunities for the business community. We are trying to turn our land-lockedness into land-linkedness. We are trying to maximise our gains from our geographical location. We are waking up not only to the construction of physical infrastructure, meaning railroads, highways, but also to diminishing red tape, bureaucracy, so that border crossing points won’t be a barrier, but a smooth transition point. For Kazakhstan, nuclear disarmament is a very high foreign policy high priority. Can you explain? Our experience with nuclear testing at the Semipalatinsk testing site, and the terrible consequences we have to live with, not only now but for future generations, means that we have a moral responsibility and moral right to demand a world free of nuclear weapons. I heard your president’s speech the low enriched uranium bank was launched, but is it realistic to imagine full nuclear disarmament? Russia and the US may reduce their arsenals, but is it possible to imagine that they will get rid of them? Again, this is where so many countries have different opinions. 122 countries signed, or rather agreed on the text and are expected to sign, the nuclear ban treaty. Again, it’s a compromise, some of these countries are pushing for more radical steps. Kazakhstan is very pragmatic. What we are proposing is that we need the engagement of everyone, because the world just cannot afford such a risk. It needs political will and courage to understand that the mentality of the Cold War era will inevitably die, if not in the coming years, in the coming decades. Even on a small scale, a nuclear war would be devastating. Nuclear weapon states should realise that 122 nations having agreed on the text give an overall message that they are no longer willing to live under the risk of nuclear annihilation. Regarding chemical weapons, the world learned the lessons of World War I. Why on earth should the lessons of Hiroshima and Nagasaki not be learned? I will challenge you with the case of Ukraine who gave up its nuclear arsenal, and part of its territory was annexed. Would Russia have annexed Crimea if Kyiv had nuclear weapons? But you don’t have Crimea. If you take a look at history, there have been some irresponsible politicians in Russia, and even the famous writer Solzhenitsyn claimed that half of the territory of Kazakhstan was Russian. And some of those claims coincided in terms of timing with the issue of Crimea you mentioned. But we are doing fine with Russia. And we are trying to evolve our partnership in a way that is mutually beneficial. Belarus is another example. We truly believe that Kazakhstan, by giving up its nuclear arsenal, the fourth largest at its time and bigger than the arsenals of France, UK and China combined, is better off now, with foreign investments, with our openness. The alternative would have been to become a pariah state. Each and every nation should be responsible, in the longer term. Will the US, Russia or UK, be less prominent without nuclear weapons? I don’t think so.